Many people know when winter is coming. They get their boots, coats and scarves out, and maybe look forward to the first snow with excitement. That’s the normal for most people. Then there are other places, like Minnesota and North Dakota, where you probably own several coats and heavy boots, and maybe you don’t look forward to temperatures that can at times drop below zero. But, that’s also normal. There is, however, one place in the world that is anything but normal when it comes to freezing temperatures. It’s called Oymyakon. 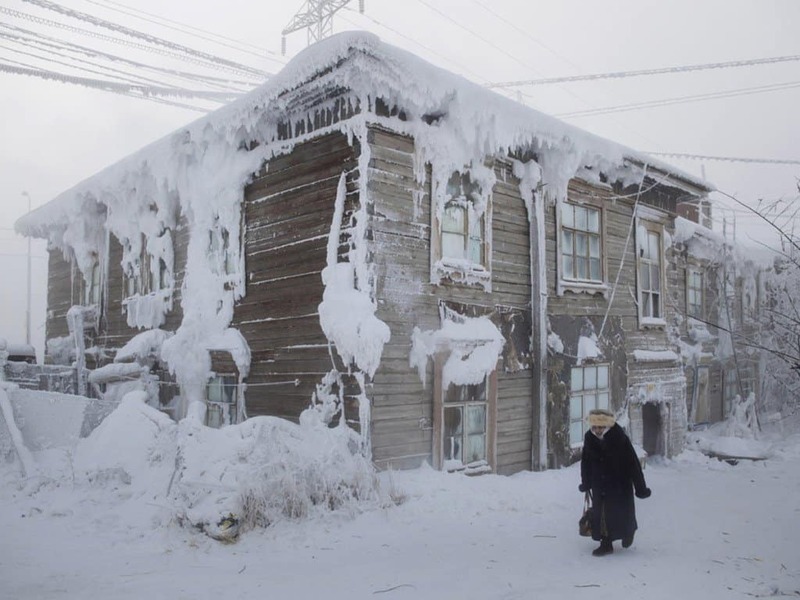 This Siberian city is home to nearly 500 people and it also happens to be the world’s coldest inhabited place. 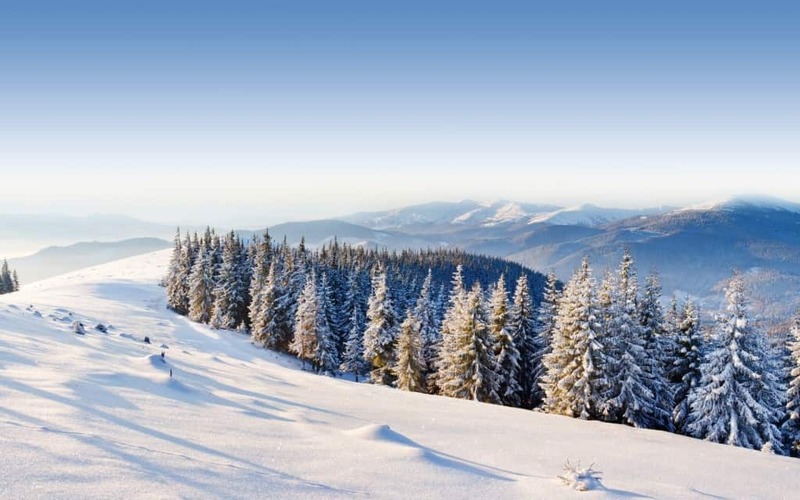 Read on for 10 shocking facts about life in this town, where temperatures often stay below zero! With temperatures of -50 on any given day, it’s very difficult to dig plumbing. So what does this mean when nature calls? You’ll likely use an outhouse in the street to do your business. And no, the seats aren’t heated. While it might be normal in many parts of the world to thaw frozen meat in preparation for dinner later in the day, it’s not in Oymyakon. Here it is common to eat frozen meat. In fact, the meat-sellers have no need for refridgeration; it all stays frozen anyway. 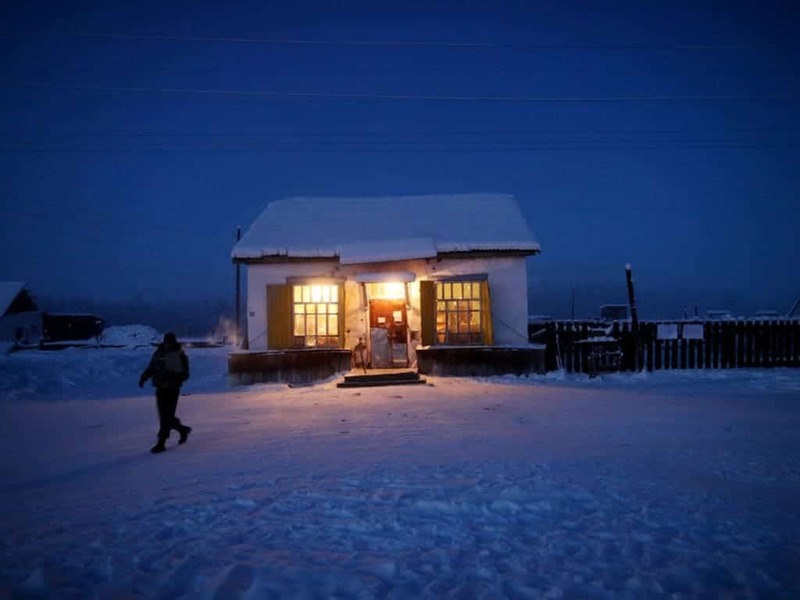 There are many things you don’t see as a luxury because you’d never have to be without it, but a trip to Oymyakon would make you appreciate the simple things in life! For instance, the ink in pens often freezes, batteries lose power, and people’s eyeglasses will literally freeze to their faces! 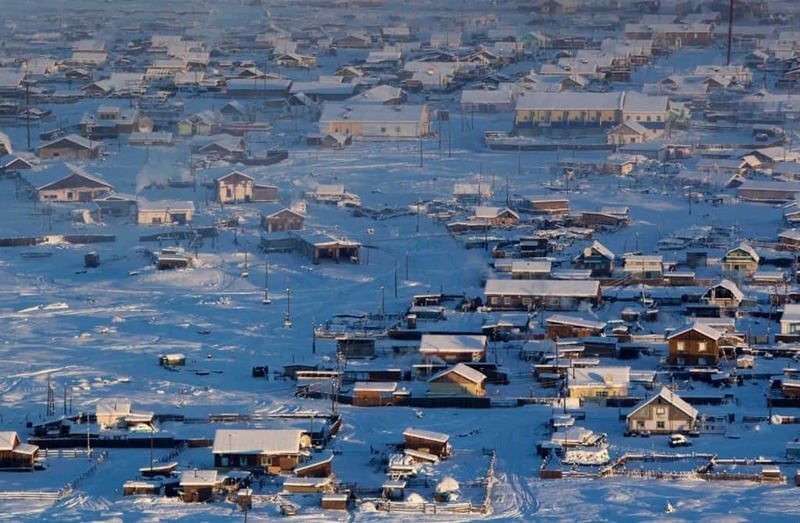 Your long and leisure days at the mall would be long gone if you decide to move to Oymyakon. There’s only one shop in the whole town and it supplies everything all the basic necessities to the 500 residents. Who would care about the latest fashion anyway — it’s not like you’d ever get to wear it! 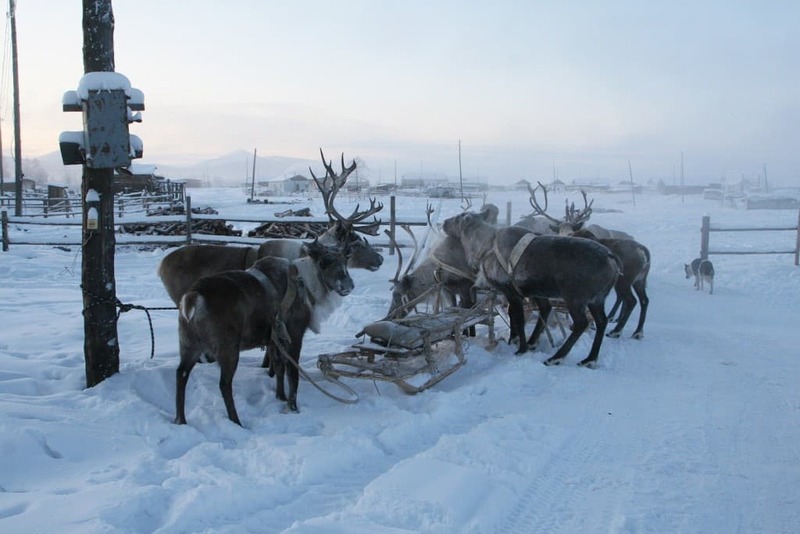 Funerals are very hard in Oymyakon. It often takes up to three days to thaw the ground enough to dig a grave. Bonfires are lit, then a few inches of ground are dug. This is repeated every couple of hours for a few days before having a big enough hole for the burial. 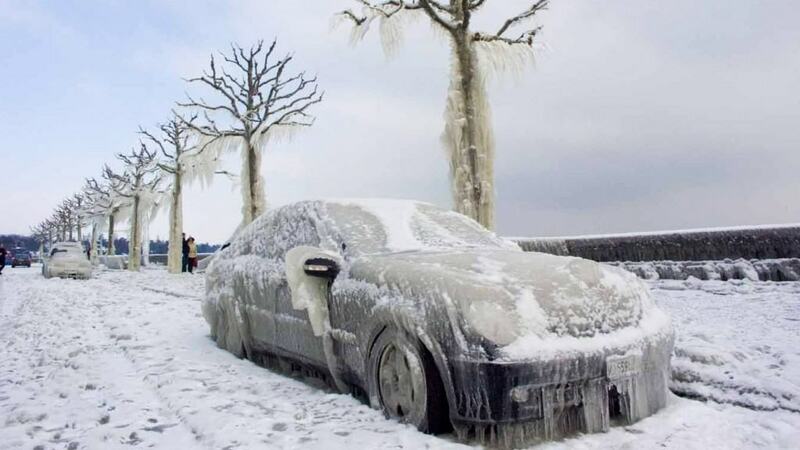 Because of the deadly cold temperatures, gas will freeze in cars, making them unable to start. Many people leave their cars running 24 hours a day if temperatures drop too low. 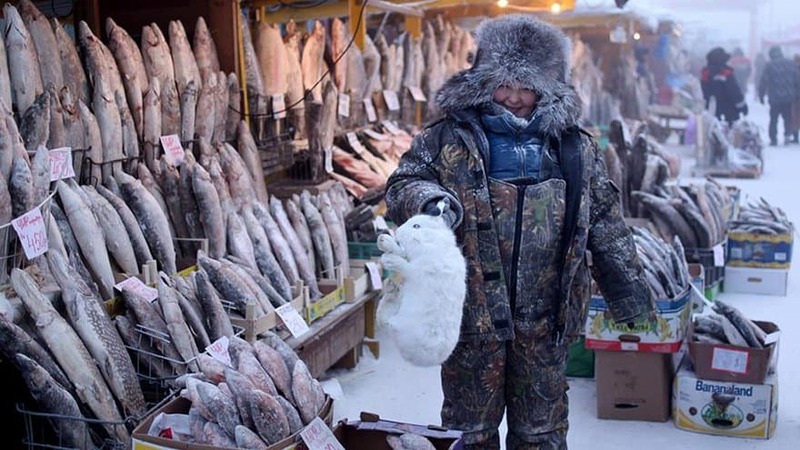 Unlike some places where the city will shut down over six inches of snow, the people of Oymyakon are hardened to the elements and life goes on. So much so that schools do not close down unless the temperatures drop below -52! Being 100 miles south of the Arctic Circle, it is quite dark. Winter is the worst. 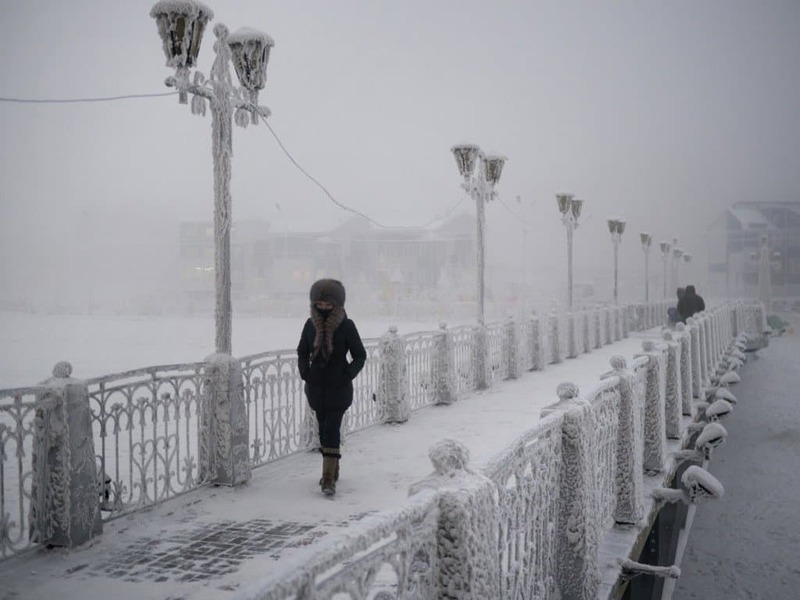 For up to 21 hours a day, Oymyakon is dark and temperatures average -58 during those long, winter months. When below zero is a fact of life and average temperature year around is -38, it’s hard to imagine that it can get much colder. 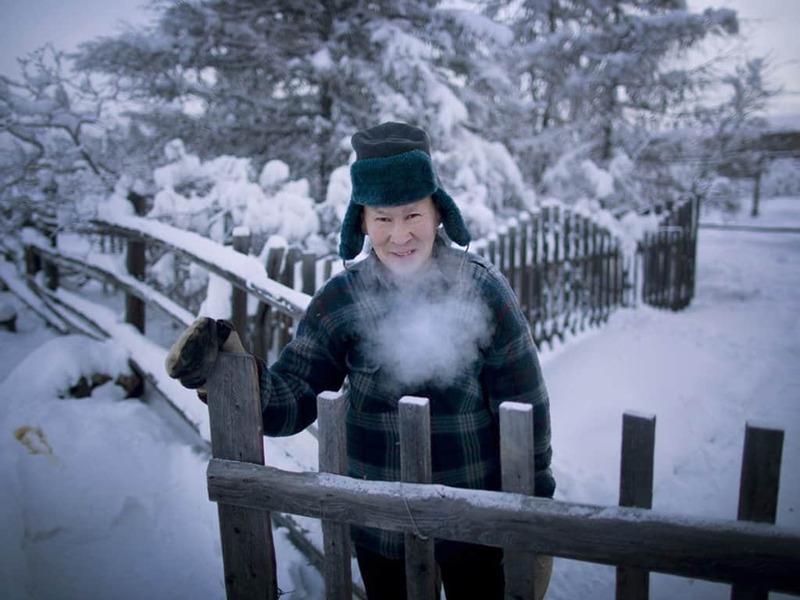 But in 1933, Oymyakon went far beyond its lowest digits, reaching a record-breaking -90 degrees! Most of us have the luxury of following any diet our heart desires. 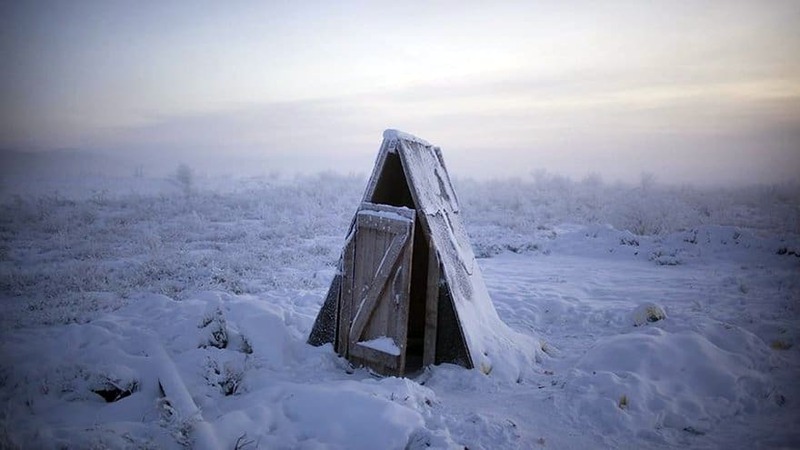 In Oymyakon, indoor plumbing is rare and the ground is far too frozen to grow fresh vegetables. So what do they eat? A mostly carnivorous diet such as raw flesh that’s been shaved from frozen fish and reindeer meat. A local delicacy is ice cubes of horse blood mixed with macaroni.